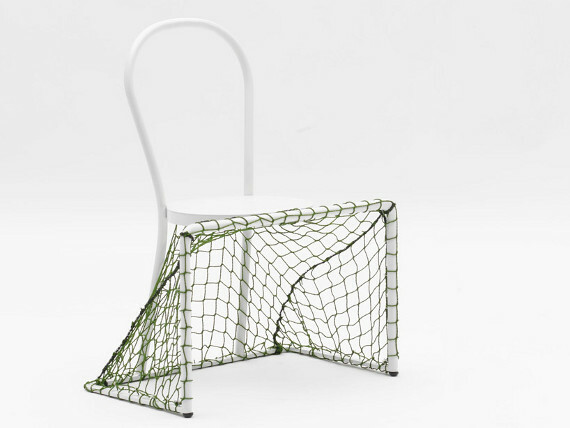 Italian designer Emanuele Magini has taken it upon himself to adapt soccer to fit the sedentary lifestyle. His creation is a chair modified to be wider-legged (like JNCO jeans?!) in the front to be able to fit a net. Now you can sit back, relax, and flail your legs around. Most importantly, you do not have to stand. Finally! Someone has heard the cries of the lazy and answered our pleas for not-standing. Thank you! I mean, sports are cool and all, but with all the physical exertion it requires? Just thinking about it makes me want to take a nap.